Carpet Cleaning Services Hawaii - Carpet cleaning service is not just a way to keep your carpet looking fresh and clean, it’s also a way to keep your family healthy. Our Oahu, Hawaii carpet cleaning services are designed to eliminate dirt, dust mites, bacteria, and allergens responsible for polluted indoor air, which can contribute to illnesses in the home or business. Our residential and commercial carpet cleaning services on Oahu aim to return your carpeting back to its pristine condition, while removing ground-in dirt and stains that standard vacuums and carpet cleaners are not equipped to handle. Our team of expert carpet cleaners use state-of-the-art equipment and products to give your carpets, area rugs, and upholstered furniture a deep clean. The lifespan and beauty of any carpet depends on how well the carpet is maintained long-term. Most homeowners rely on standard vacuums to keep their carpets clean, but most vacuums are not powerful enough to remove dirt and dust that becomes stuck in the pile of the carpet. As a professional residential carpet carpet cleaning company, we are able to effectively reach the deepest carpet layers. If you’re like most homeowners, you take great pride in the cleanliness of your home. However, even the most diligent of homeowners will experience daily wear and tear of their carpeting. Allow us to transform the look and health of your home’s carpet with our top-rated carpet cleaning techniques that will leave your home’s carpeting, area rugs, and upholstery immaculate. If you want to maintain a professional image, it’s crucial for your business to have a clean and hygienic work environment. We offer commercial carpet cleaning services to business of all sizes. Every workplace has high-traffic areas that succumb to dirt, dust, and debris, which can contaminate indoor air quality and decrease the life of your business’s commercial carpeting. We use professional-strength cleaning products, spot removers, and deodorizers to ensure that the results are satisfactory. We’ll also target any spots or stains that can be real eyesores in a professional environment, leaving you with a flawless carpet. We are able to clean wall-to-wall carpeting, area rugs, and upholstered furniture. . Carpet Cleaning on Oahu, HI is trustworthy and reliable. We are certain to offer the Top Carpet Cleaning Service on Oahu, Hawaii taking into account our experience, training and utilization of the right hardware. 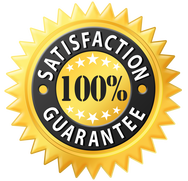 We ensure that Carpet Cleaning Oahu will offer 100% satisfaction guarantee in all our cleaning work as it is our job. We understand that most of you have demanding schedules and your time is valuable. Our Oahu Carpet Cleaning professionals are prompt, efficient, and highly trained to guarantee your carpets are cleaned to meet your satisfaction. Most modern carpets are manufactured with some level of stain resistance. However, this resistance will slowly wear away over the months and years, increasing the risk of carpet spots and stains. Heavy foot traffic can also wear down carpet fibers, which makes them even more vulnerable to permanent staining. 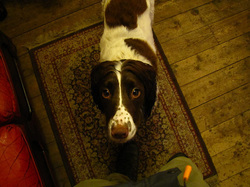 Our pets are often considered part of the family. However, they can make it difficult to keep a home clean and smelling fresh, especially when pet accidents occur. Once an accident has occurred, it can be difficult to pinpoint the exact area without a UV light. Our Oahu team of carpet cleaning pros have the equipment necessary to detect and eliminate pet urine and odors. If not properly treated, pet accidents can travel throughout the entire home, impacting the cleanliness of the house and the health of your family. The odor that emits from the pet accident often leads to repeated accidents. Allow us to deep clean the area to remove every last trace of urine to discourage your pet from using the spot as a bathroom again. Busy families and businesses often don’t have the time or energy to deep clean their carpets on a routine basis. Fortunately, we’re here to make keeping your home or business clean and healthy fast and easy. Let us help protect your investment by providing you with top-of-the-line pet odor removal for you carpets! 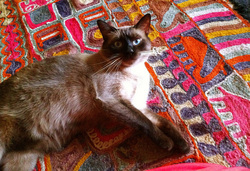 Area Rug Cleaning Oahu - Do you have a beautiful area rug that has been stained or dirtied? At Carpet Clean Oahu our technicians also specialize in area rug cleaning to make your rug look brand-new (how it looked when you first bought it). Contact our team today and we will give you a free estimate to get your area rug clean! We are also partnered with a Mold Removal Hawaii company. Please contact us if you are in need of mold inspection or mold remediation! You spend money to purchase your furniture, why not spend money to maintain it? Our professional upholstery cleaning services aim to remove all spots, stains, and odors from your upholstered furniture, while providing a deep level of clean you can’t achieve with your standard upholstery attachment. Food, hair, dirt, and pet stains can cause your furniture to quickly become dull and dingy. Small crevices in the cushions and trimming can collect dirt and grime. Return your upholstered furniture back to picture-perfect condition with the help of our expert cleaners. Scheduling a upholstery cleaning session takes only minutes and the results are outstanding. Our team of carpet cleaning professionals are trained in all phases of the cleaning process, from fiber identification and soil analysis to deep level cleaning and fabric care. We use special techniques to target high-traffic areas and surface stains, as well as powerful products aimed to eliminate lingering odors. Our carpet cleaning services begin with an initial walk through of the areas that need to be cleaned to identify any problem areas, followed by the removal of furniture. 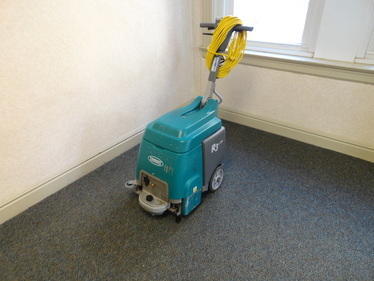 We will then vacuum, pre-treat, and clean the carpeting, area rugs, and upholstery. We will then “groom” the carpet by raising the carpet pile, giving your carpeting a fresh and fluffy look. For more information about our Oahu, HI services or to schedule an appointment, contact us today. Steam cleaning Honolulu - Our steam cleaners Oahu provide steam cleaning service on the Island of Oahu, HI. We have the following steam cleaning teams across Hawaii - Steam Cleaners Honolulu, Steam cleaners Pearl City, Steam Cleaners Kaneohe, Steam cleaners Mililani, Steam Cleaners Kailua, and Steam Cleaners Waipahu.